His name doesn't appear in the voters' pamphlets that arrived in mailboxes last week, and he doesn't really expect to win. 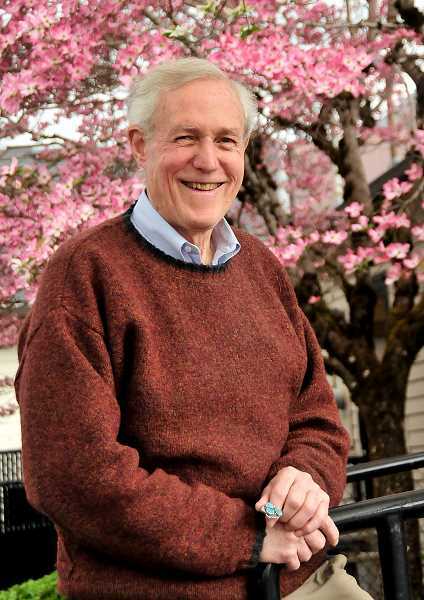 But Lake Oswego resident Peter Wright is challenging U.S. Rep. Kurt Schrader nonetheless for the Democrat's 5th Congressional District seat. It's an asymmetrical matchup, to be sure. 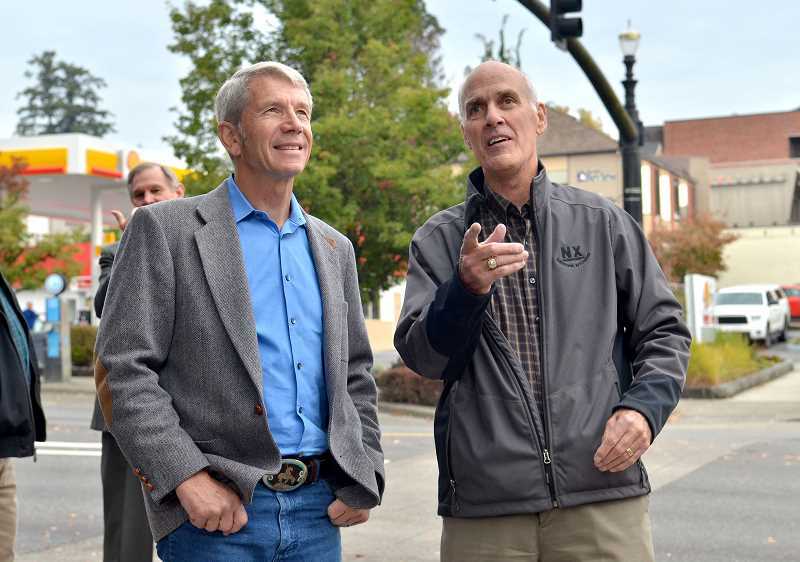 Schrader is a nine-year incumbent with an established campaign operation and more than $2 million available in the bank for the 2018 election, while Wright is a political novice whose sole expenditure was the $100 fee to register as a candidate in the primary. It's also a steep ideological climb. Schrader is a moderate Democrat, representing what is usually seen as a moderate district, and Wright is pretty far to his left. In each of the previous election years in which Schrader faced opposition in the primary, he won by a large margin. And Wright hasn't been running a particularly high-profile campaign. The 27-year Lake Oswego resident has participated in a few candidate forums and other events, but he's done no fundraising, made no phone calls, knocked on no doors, and has no website — and he's quite upfront about his chances of beating Schrader, who declined through his office to comment on the upcoming election. "There's no expectation on my part that I'm going to win," he says. But winning was never really the point, and it's not even about Schrader personally, Wright says. His decision to run was spurred in part by disagreements with some of the congressman's policy votes, but he says Schrader has been doing "wonderful work" overall. Still, the 74-year-old Wright says the specific issue that sparked his campaign was Schrader's track record on gun control. In January, Wright attended a 5th District town hall event in which an audience member asked Schrader about his recent vote in favor of HR 38, which mandated concealed-carry reciprocity between states. Schrader replied that the bill was a compromise that also included expanded background checks for firearm purchases, but Wright said he felt that answer didn't take a strong enough position, because it would ultimately allow for more guns to be carried in public. "I thought, 'It's not an either-or thing,'" he says. Not long after that, news broke about the shooting at Marjory Stoneman Douglas High School in Parkland, Fla., and Wright says he logged onto the Oregon Secretary of State's website that evening and registered as a candidate. At the time, Wright says, he hadn't really thought through how the campaign would work. His goal was simply to make it clear that a vote for him would be a vote for gun control, and the point would be to prove to Schrader and other Democrats that there is support among Democratic constituents for stricter gun laws. That initial campaign focus on guns expanded to include other parts of Wright's world view. 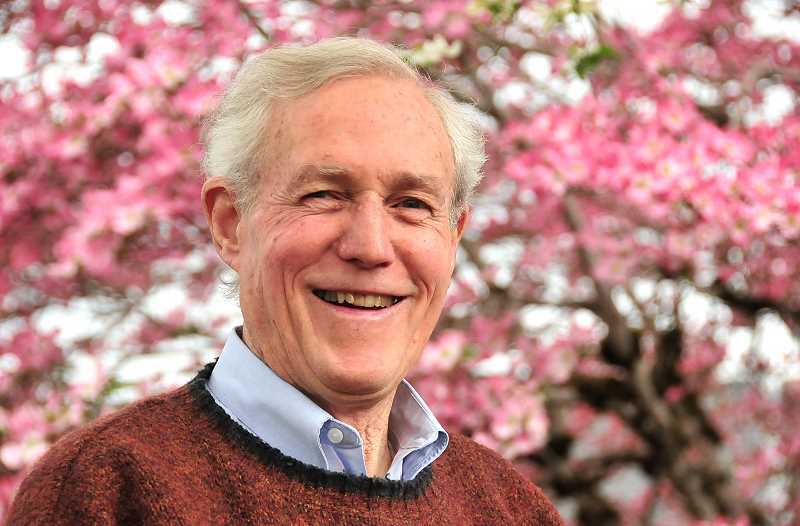 He says the broader ideas date back decades to his days as an adjunct professor at Stanford University, teaching a course on environmental economics. But he's never tried to push those ideas in the political arena until now, he says. Looking beyond the gun control issue, Wright says his goal is to speak out about what he sees as a fundamental problem with the direction of the country, and an unwillingness on the part of Schrader and other congressional Democrats to take action to change it. Campaigning on the issues allows him to speak from a position of more authority, he says, and hopefully reach more people. "It's to nudge (Schrader)," he says, "and to nudge the constituents of the 5th District." At campaign speaking events, Wright often begins with the assertion that the human population has filled the Earth to capacity, and that expansion has always been driven by a masculine-dominated social structure that strives for confrontation. With no room left to expand, he says, society has reached a tipping point in which that traditional structure becomes irrelevant. Society must change to a new structure, he says, focused on a continued sustainable existence and more equitable gender roles. If the patriarchal structure is allowed to continue, Wright says, it will become self-destructive because the competitive drive will have no target other than less-powerful members of society. This phenomenon can be observed in the rise of the alt-right, he says, as well as the recent GOP tax bill, which he says favors the rich at the expense of most citizens. "It's like the people are the enemy," Wright says, "or a school of fish to be gobbled up." Voters implicitly recognize the need for change, he says, which is why recent years have seen the rise of movements like Black Lives Matter, Me Too, and Never Again — all of which are taking aim at current power structures that tend to favor older white men. The gun control issue fits into the picture because it's one of the byproducts of the male-dominated social hierarchy, he says — at a time when social change can disrupt the ways in which men have traditionally built their identity, gun ownership becomes a way to maintain it. "The gun gives them a sense of identity," he says. "It's a way for each man individually to feel like an alpha male, even though he's not." Wright has articulated that world view at a number of community meetings and forums, and he says one of the benefits of the campaign has been finding ways to get his message across without becoming too esoteric. "It's given me a way of thinking of ideas in more practical terms," he says. "How do I nudge this forward without turning people off of it?" Still, Wright says, running a congressional campaign — even a symbolic one — has been more unnerving and complicated than he expected. The public speaking aspect was initially intimidating, Wright says, and he was unsure how to proceed at his first event — a forum for Clackamas County-area candidates hosted by the local group Independents for Progressive Action. But Wright received a strong response from the crowd at that first showing — as well as the endorsement of iPA — which he says gave him more confidence to speak up at subsequent events. There was also an initial shock in the days after he registered as a candidate: Having his name on the official list meant he automatically began receiving surveys and mailers from a variety of interest groups seeking to pin down his stances on specific issues. A majority of the mailers were from more right-wing causes like gun advocacy, Wright says, and they had a tendency to simply ask candidates whether they agreed or disagreed with certain statements. Wright says he threw most of them away, choosing only to return the ones that gave him space to explain his positions. Wright says he hasn't been contacted by many constituents, but he says that among the few people he's gotten the chance to talk to, he's seen a similar frustration with the way the current system works. He says he doesn't plan on repeating this kind of challenge in the future, but he does hope that he can continue to speak out about the issues at the center of his campaign. "People don't care who it is. They're just so glad somebody is running on these issues," he says.